JOHANNESBURG. – South Africa will return assets and cash stashed in the country by the slain Libyan leader Muammar Gaddafi, the Treasury said on Thursday. The two governments agreed on “the repatriation from South Africa of Libyan funds”, totaling almost R10bn. It is thought to include diamonds and gold. The assets were placed in South Africa by the Libya Investment Authority, the Libya Africa Investment Portfolio and the Libya Africa Investment Company – funds closely controlled by the Gaddafi regime. The Treasury said the assets will be returned in line with UN rules. The deal was reached at a meeting between Finance Minister Pravin Gordhan and a Libyan government delegation on June 4 (2013). “The decision was informed by the fact that the government of Libya established a single body in 2012 to co-ordinate the repatriation of assets to Libya,” the government said. This body co-operated with the committee formed in terms of the UN Security Council Resolution 1970 (2011) and the panel of experts which co-ordinated repatriation to Libya of assets frozen in various countries. South African media last week (2013) reported that Libyan investigators had approached the treasury with evidence that the assets were held by four local banks and two security companies. A letter sent by Libyan investigators said large amounts of cash from Libya’s state investment funds had been uncovered in South Africa and neighbouring states. South Africa opposed Nato’s military intervention in Libya during the rebel uprising against Gaddafi’s regime in 2011. The veteran leader was captured and killed in October 2011 while he was trying to flee his home town of Sirte. Libyan investigators learned of state funds stashed in South Africa from Gaddafi’s former intelligence chief Abdullah al-Senussi. He is in a Libyan prison after being extradited from Mauritania. Part of the missing money is allegedly controlled by Gaddafi’s former chief of staff Bashir Saleh. Saleh, who headed Libya’s R400bn sovereign wealth fund, is wanted in Libya for fraud and is the target of an Interpol arrest warrant under the alias Bashir al-Shrkawi. Several high-ranking officials linked to Gaddafi’s regime, including members of his family, have been linked to corruption scandals that emerged after his death. Last month (May 2013, Libya’s new government adopted a law barring Gaddafi-era officials from holding government posts. On January 7, chief opposition whip Ibrahim Ssemujju Nganda wrote to the speaker of parliament Rebecca Kadaga suggesting a solution to an increasingly tense standoff between her and the opposition FDC leadership. 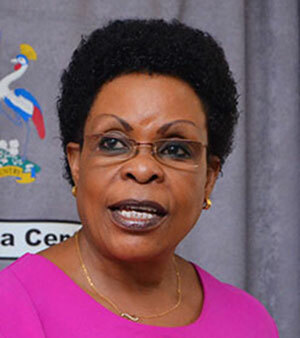 Kadaga and the FDC leaders are rowing over a change of leadership of the Commissions, Statutory Authorities and State Enterprises Committee (Cosase), which is probing the irregular closure of seven commercial banks by Bank of Uganda. The bickering stems from a December 18, 2018 letter, the speaker wrote to the Leader of Opposition in Parliament (LOP) Betty Aol Ocan, asking the opposition leadership to allow the current Cosase leadership to stay put until February 20. Cosase is one of the four accountability committees in parliament whose leadership is largely a preserve of the dominant opposition party in parliament as per Rule 157(7). Currently, the two-and-half years’ tenure of the committee chairman Bugweri MP Abdu Katuntu and his deputy Bukedea Woman MP Anita Among expires on January 13. FDC President Patrick Oboi Amuriat appointed Kawempe South MP Mubarak Munyagwa to replace Katuntu as the new committee chair and Lubaga North MP Moses Kasibante as his deputy. But Kadaga argues that since the committee is at a critical stage of the Bank of Uganda probe, the new appointed leaders should wait until the outgoing leaders have concluded their investigation. “Cosase is winding up on the Bank of Uganda investigation; we expect them to write a report and hand it over to the House before they move, my request is not to say that we shall not have changes, but changes will come after they have finished the report,” Kadaga told journalists on January 3. Kadaga’s remarks followed loud protests from FDC leaders who view her call for an extension of the current committee leadership as a ploy to block Munyagwa from assuming leadership. In the midst of the storm, Ssemujju wrote suggesting that he intended to move Katuntu from Cosase to the Rules, Privileges and Discipline committee, which he says has originally been constituted by senior lawyers of Katuntu’s stature. But with Kadaga leaning on her authority as the head of parliament and, therefore, the custodian of the Rules of Procedure, Ssemujju, to avoid a clash, suggested a win-win alternative. He suggested that parliament invokes Rule 206 of its Rules of Procedure to end the current standoff. The Kira Municipality legislator told Kadaga that the committee leadership should first be properly constituted and then Katuntu be co-opted as a member of the committee under sub-rule 1 of the Rule, for purposes of concluding the probe. “I am making an undertaking that I will instruct Munyagwa to co-opt Katuntu, and leave him to conclude the Bank of Uganda investigation. That is the easiest and lawful way this can be handled; otherwise, parliament risks having whatever findings and recommendations that will come in the report being challenged in court,” Ssemujju told The Observer. 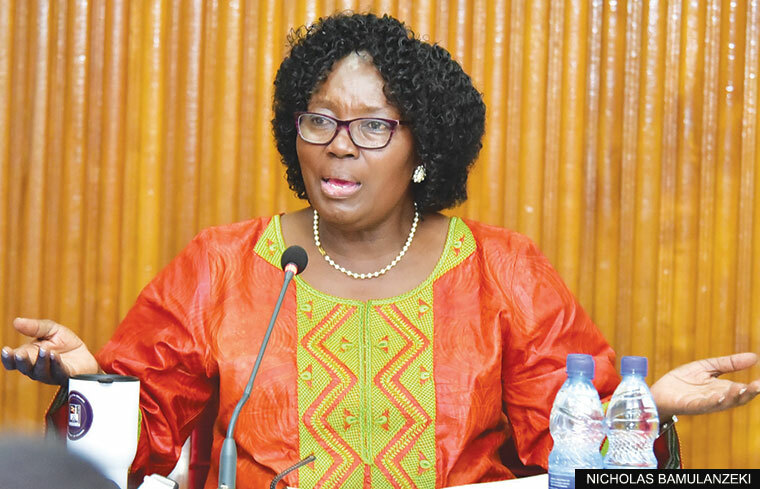 In her January 3 address to the press, Kadaga said that while the tenure of all the 11 standing committees of parliament expires on January 13, the Cosase leadership will remain till the end of February largely to conclude the probe. Ssemujju, however, invited Kadaga to address herself to Rule 155 and Rule 157. Like Ssemujju, Kasibante also argued that the rules needed to be respected. “A committee cannot conclude all business; it will become a problem if we set the wrong example. When the term of the committee expires, then the leadership should expire, we have Rules that dictate so,” Kasibante said. But since Rule 157(8) requires the speaker to first announce in parliament the designated members before they can assume their respective membership or offices, Kadaga may still use this sub-rule to delay Munyagwa’s assumption of the committee leadership. Last week, Munyagwa recorded a video in India which he circulated to journalists expressing his disappointment at what he claims to be a deliberate plan to fail him. “I am a Ugandan with a right to serve my country, Katuntu is not the first chairman of Cosase; [FDC President Patrick Oboi] Amuriat was chairman [of the committee], he left at the expiry of his term and he was replaced by Ssemujju and Katuntu replaced Ssemujju,” Munyagwa said. Munyagwa claimed that there was a lot behind the Bank of Uganda investigation, which he threatened to reveal to the world once he gets clearance from the FDC party leadership. The current probe was undertaken after a special audit by the auditor general released last August accused Bank of Uganda of irregularly closing seven commercial banks between 1993 and 2016. The banks in question are, Tteefe Trust Bank, International Credit Bank, Co-operative Bank, Greenland Bank, Global Trust Bank, National Bank of Commerce and Crane Bank. Katuntu’s deputy Among told Ssemujju on Monday at parliament that he had no option but to wait for the committee to conclude the probe. “Like your first attempt to remove us in [August, last year] and I told you [then] that we will complete our term, and it happened. The case won’t be any different even for this probe,” Among said. Nonetheless, the committee met yesterday and Katuntu urged Munyagwa and Kasibante to wait until their names are formally announced by the speaker on the floor of parliament. “We are not dying to be in these positions, we can only stay in these positions in accordance with the Rules of Procedure of Parliament,” Katuntu said. “Nobody is stuck in an office against the Rules of Procedure, once the Rules tell us to leave, we shall leave as soon as they do,” he added. Basing on the provisions of Rule 157 (8), Katuntu said, “No member has been designated to this committee and his or her name announced by the speaker in parliament for him to assume membership or leadership. I have seen a lot of debate on social media and the press claiming that somebody is the chairperson of this committee, and Hon Kasibante, the deputy. Once they have been designated, and their names announced by the speaker in parliament, they will assume leadership,” Katuntu said. Angered by his communication, Kasibante asked whether the committee has the mandate within the Rules of Procedure to extend its tenure. More like economic genocide going on in the higher echelon of power in this country. It is worthwhile to remember that even when Hitler was committing genocide, he had rules of procedure to be followed! Well then the process of daylight robbery of tax payers money certainly must have rules of procedure as well. One should remember that the Staff of the Bank of Uganda did oppose the Parliamentary investigation to take place. This African lady speaker is certainly in a political dilemma(catch-22). She has only of recent encouraged her political money minded house to hurriedly pass a bill into law to allow the current government to stand as it is in the next coming election of 2021. The Swiss government has to repatriate Nigeria’s stolen funds totalling $1.2 billion, officials have confirmed. Switzerland’s outgoing ambassador to Nigeria Eric Mayoraz said the European state first repatriated $722 million to Nigeria in 2005 and $322 million of the looted assets of former military ruler Sani Abacha. Mr Mayoraz praised Switzerland's contribution to the anti-corruption campaign of President Muhammadu Buhari. The envoy, who was addressing a visiting Swiss trade delegation at the Consulate-General of Switzerland in Lagos, said that Nigeria and Switzerland would continue to enjoy good bilateral relations. President Buhari signed an agreement in the first quarter of 2018 with the Swiss Federal Council and International Development Association on the Return, Monitoring and Management of Illegally-Acquired Assets Confiscated by Switzerland, to be returned to Nigeria. 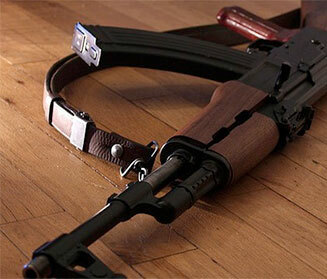 The Nigerian leader has also taken the battle to the US and the UK, which have agreed to collaborate in loot recovery. Abuja was collaborating with the US to repatriate over $500m stolen from Nigeria. President Buhari in May discussed with his US counterpart Donald Trump at the White House, the Nigerian money stashed in banks across the world. “Our two governments have put the machinery in place for our respective attorneys-general to collaborate in ensuring the return to Nigeria of over $500 million looted funds stashed away in banks around the world, President Buhari announced after the meeting with the US leader. Nigeria’s Senate President Bukola Saraki said on Saturday said that the fear of mismanagement of looted funds had delayed the return of the money stashed abroad. Mr Saraki stated that foreign countries were afraid the funds would be re-looted, hence their reluctance to return the money. “Nigeria is finding it difficult to convince other nations to return funds looted from our treasury. This is because of the other nations’ exasperation over the management of returned assets. Nigeria's Money Laundering Prevention bill, being considered by the senate, has been delayed because the stakeholders raised constitutional issues, which Mr Saraki said have been forwarded to the Executive. President Museveni has told a meeting in the UK why he never supported former Libyan leader Muammar Gadaffi’s push for African federation. “I did not believe in the federation of the whole of Africa that the late Muammar Gaddaffi sought because the whole continent does not have sufficient compatibilities,” Museveni said in a speech read on his behalf by army chief political commissar, Brigadier Henry Masiko. This was at a summit on Africa hosted at the University of Warwick, Coventry on January 26-28. Gadaffi was a strong advocate of one Africa. At the time of his death, he was mobilising support for the idea amongst African leaders. 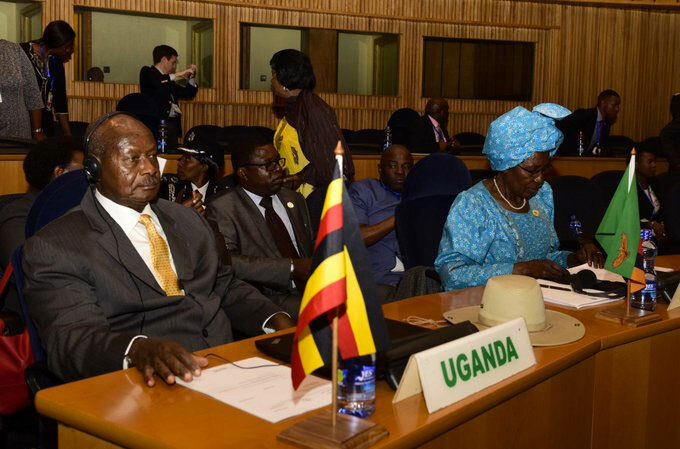 Instead, Museveni said, regional federations should be looked at as a more acceptable option. “Having suffered for 500 years, the African people are entitled to a strong shield to insure their future,” he said. The president, who at the time of the summit was attending an AU meeting in Addis Ababa, Ethiopia, said Uganda regarded groups which advocate identity politics as working against the prosperity of citizens. Museveni also said he regarded human resource more important than natural resources. “It is on account of the fact that human resource is creative, conscious and also consumes goods and services while the natural resources are inert unless they are worked on by the very human resource,” he said. He said African countries are now even more vulnerable with the Americans talking about “superiority on land, in the air, at sea and in space”. This leaves Africa nowhere, he said. Museveni wondered how Africans can survive as free people, if we survive at all, only with the permission of others. He said Africa’s elite populations are making the same mistake as the African chiefs who failed to unite people for decades as Europeans took over the whole continent. This seems to be an African political scientist, and a self-styled African leader, who wishes to live on for another 500 years on the African continent! As he grapples with owning ultimate power, the man is dreaming bigtime. According to Emmery Mbaha, the president of the Environmental Health Workers’ Association of Uganda (EHWAU), air pollution is an issue neglected by people. Inside a smoke-filled hut, Jane Rose Kataihe, in her late 50s, struggles to blow into the fireplace to fan the flames. Amidst bouts of coughing, she chokes on the smoke and her eyes turn teary. In the adjacent room that is partitioned off to create a bedroom, Kataihe’s two granddaughters sit, rubbing their eyes. “Kaaka! (meaning grandmother) Our eyes hurt, the smoke is too much!” one of them, a four-year-old, complains. On a Saturday afternoon, Ronnet Luswata, a resident of Kinawataka village in Mbuya, a Kampala suburb, struggles to remove the soot covering the ceiling of her two-roomed house. “One would think I cook in this house, yet, all this soot comes from the paraffin lamp I use for lighting,” she says. A hundred meters away from her house, Luswata’s children gather around a burning heap of rubbish, with thick smoke billowing from it. It is from such air pollution conditions that this year’s World Environmental Health Day theme “Indoor and outdoor air quality” was drawn. According to Emmery Mbaha, the president of the Environmental Health Workers’ Association of Uganda (EHWAU), air pollution is an issue neglected by people. Globally, air pollution is a challenge, although people in developed nations are affected more by outdoor pollution as opposed to Uganda, which is grappling with indoor air pollution. Mbaha says about 80% of Uganda’s population uses paraffin lamps and candles for lighting. Most rural homes use firewood for cooking, producing a lot of smoke and ash, which is harmful to health. Equally, burning of paraffin produces soot, which is a pollutant. He says the soot produced after burning wood and paraffin is as sticky as tar, and has the potential to cause cancer. He says when soot goes in one’s eye, it irritates and causes itching. As one rubs the eye, the lens gets damaged, leading to sight problems. Mbaha adds that some building materials, like paint and varnish, contain LED, a chemical that is dangerous. Sprays, insecticides and perfumes contain heavy metals that are also poisonous to the body. The common cause of outdoor pollution is exhaust fumes, Mbaha says, adding that some fuel on the market contains LED, which burns and becomes gaseous. Some studies show that crops grown by the roadside contain LED. Racheal Apolot, a fellow of Makerere School of Public Health, says often, the community engages in bush burning, which leads to air pollution. She says burning of waste such as plastics and polythene at less than 10,000°C produces dangerous chemicals such as dioxins, which are associated with cancer, birth defects and death, if inhaled in high concentration. She is keen to point out that most industries in Uganda do not meet emission standards. As a result, they release potentially cancer-causing pollutants into the air. In addition, some organizations, including health facilities, burn waste using substandard burning chambers. Against this background, Mbaha and Apolot think air pollution has been neglected in Uganda, justifying this year’s World Environmental Health Day theme. But they are optimistic that talking about pollution will draw policymakers into action. The International Federation of Environmental Health (IFEH) designated the day in 2009 and asked nations, including Uganda, to come up with different programmes for the annual event. Countries have since commemorated the day, but at national level, Uganda has never celebrated it. “Uganda was not prepared to take off. However, students belonging to Makerere University Environmental Health Students’ Association (MUEHSA) started off by engaging in community activities such as cleaning,” says Mbaha. This year, with improved technology, the students formed a WhatsApp group, which has made communication easy. Mbaha says funding is one big issue affecting environmental health services in the country. “Uganda does not have a budget line for environmental health, and the little money allocated through the National Environment Management Authority (NEMA), called the Sanitation Condition Grant, is not sufficient to address the broad sanitation component of environmental health. Mbaha says each district is allocated sh20m annually to run environmental health services but that, too, is not enough. The government has also not procured means of transport for environmental health workers yet by the nature of their work, health assistants, who are the lowest cadres, are assigned to supervise either a parish or a sub-county and sometimes, reach each household. A health inspector is supposed to supervise a sub- county or a health sub-district to build capacity of health assistants and support them in environmental health service delivery. But MBaha wonders how they can deliver effectively if they have to move on foot. He says because environmental health workers oversee entire districts and municipal councils in the delivery of services, it is important that they are given motorcycles or vehicles. The practice of non-governmental organisations recruiting non-professionals in the capacities of environmental health workers also affects the quality and delivery of services. “They prefer to recruit social scientists, environmental scientists and people who specialised in development studies, and leave out professionals,” explains Mbaha. He thinks the practice stems from the background of managers of NGOs, as majority are social scientists and engineers, who prefer to employ people they have been working with previously. In addition, he says the employment structure of the Government is limiting and has given districts powers to customise the recruitment structure. Consequently, they tend to leave out environmental health workers and opt for other posts. For instance, the district may choose to recruit 10 medical doctors, 10 clinical officers, 10 nurses and leave out environmental health workers on grounds that they do not have a small wage bill. There are limited professional development outlets (promotions) for environmental health workers. “A health inspector is supposed to be promoted to a senior inspector level and then to the level of principal, but the structure at the district does not allow,” says Mbaha. Mbaha says the Government should walk the talk because the president has always said the priority of the Government is preventive health services. “There is need to allocate money into preventive health services if Uganda is to progress. Our policy documents need to be adjusted to give priority to preventive health services,” Mbaha suggests. Dr Olive Kobusingye’s Open Letter to Dr Ruhakana Rugunda that was published in the The Observer of September 18, 2017 makes interesting reading. For the record, Dr Kobusingye is a very special friend to me. When I nursed my late husband, her friendship and professional support were invaluable. Indeed, my children and I hold her in high esteem and will remain eternally indebted to her. However, reading her article, the analyst in me was amazed at how a biased platform can demean and corrupt an otherwise excellent mind. The article Open Letter to Dr Ruhakana Rugunda is based on the law of averages where ‘under normal circumstances’ is an assumed preamble. The flipside of the law of averages is the law of exceptions, which Dr Kobusingye chose to ignore. For instance, hate him or love him, her brother, Dr Kizza Besigye, is an exceptional activist, with exceptional courage and resilience. That is why the opposition functions better with him at the frontline in riots and on the ballot box. On the other hand, President Museveni is an exceptional 70-year-old whom one cannot and, indeed, must not put on the scale of ordinary 70-year-olds described in Dr Kobusingye’s letter. Maybe we should ask the Catholic Church why they have popes that are over 70 years or ask the United States of America why Federal court judges in most states have no mandatory retirement age (except in the state of Vermont where the retirement age for federal judges is 90). Why is there no age limit for that most important office of president of the USA? Could it be that Europe and USA have no knowledge of Dr Kobusingye’s information? Indeed, they do but choose to exploit the advantages provided by the law of exceptions rather than subject themselves to the mediocrity provided by the law of averages. In her experience as a doctor, how many 50-year-olds or younger, bedridden with chronic and other ailments, has Dr Kobusingye administered? Were we to abide by the law of averages – the average mortality age for Ugandans being 53 – we would place the presidential age limit at 53 so that a president does not die on us. The Guinness Book of Records lists very young and very old people who have done incredible things. Many people are exceptional in various fields – doctors, lawyers, researchers, teachers, soldiers, race drivers, writers, freedom fighters, etc. The edge that President Museveni has over most people is that he is an all-round exceptional. Not to belabor the point, sitting with President Museveni every week in cabinet, I am constantly amazed at his knowledge base and intellect in sciences, arts, world affairs, history, geography, archeology, etc. He knows everything that is written in all newspapers in Uganda every day! He seems more informed about each community in Uganda and each sector of this economy than any minister holding the portfolio. His knowledge, stamina, resolve and resilience are matched by his wisdom, wit, calmness and tolerance. Love him or hate him, but you can’t place Museveni among averages. Flashback: I attended the launch of Dr Kobusingye’s book titled The Correct Line? in 2011. The many speakers including our mutual friend Anne Mugisha, who was its chief analyst, heaped praises on the book and author, much of which I concurred with. In my contribution, though, I thanked Olive for a book well written but reminded her that Uganda did not begin in 1986 and that her book would have been enriched by a synopsis of pre-1986 Uganda. I could feel the vibes in the room that nobody appreciated any criticism of the book and that everybody in attendance just wanted to enjoy a blanket bashing of President Museveni for all of Uganda’s problems. Perhaps that is the background of the ‘Letter to Dr Ruhakana Rugunda’. The author is the minister for Kampala Capital City Authority. Indeed when you place Ms Kamya and M7, M7 is above average and M/s Kamya is 50 by 50. What of Hitler with Churchill, the German man was above average. What of the African man Mugabe who suffered the imprisonment of Ian Smith for years. What of Satan and God. Who of them is above average my dear M/s Kamya? Keep up your African IQ measure. It makes real sense. Three police officers attached to the Police Flying Squad have shot dead a 3-year-old girl and injured two other people in Mityana district. The incident occurred today in Buluma village in Butayunja sub-county in Mityana district. According to information obtained by URN, the officers raided the village on the invitation of a resident only identified as Kulumba after he was accused by locals for possessing witchcraft. When the officers arrived on the village, they reportedly attempted to make arrests, but residents put up resistance prompting the officers to open fire. In the process, the officers shot dead 3-year-old Viola and injured her mother Dina Nabakooza and another resident identified as Ivan Kato. The officers fled the scene shortly after shooting their victims. “We regret the incident that happened this morning, where some three officers attached to Flying Squad shot and killed a child, two people went injured. We can say; this was not a sanctioned operation. Nobody knew about it. They organised themselves criminally and executed this operation which was not sanctioned by anybody. 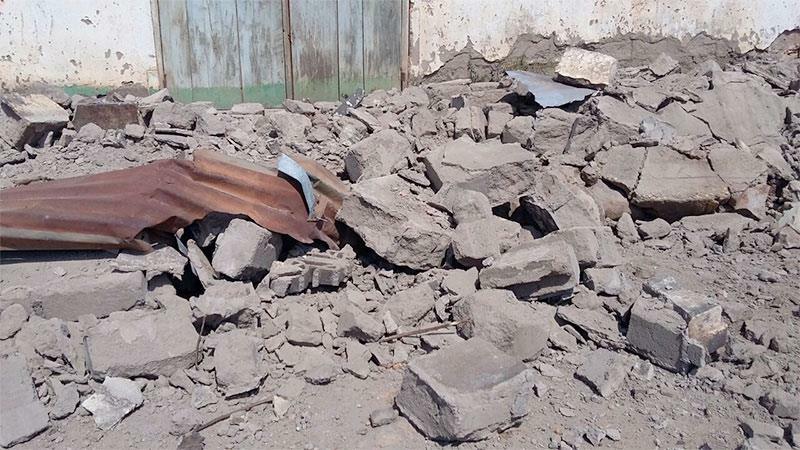 Even their immediate commander is not aware…First of all we condemn this act that was done, we have opened up a case of murder, attempted murder and we are hunting for these people," said Kidima. He however, didn't disclose the identities of the irate officers. Joseph Luzige, the Mityana LC V chairperson, also rushed to the area and appealed to the residents to stay calm as police hunts the suspects. Police handed over the body of the deceased to Mityana hospital for postmortem while the injured were rushed to Mulago national referral hospital for treatment. 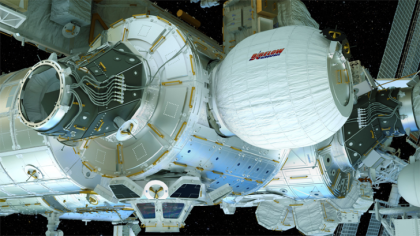 The recent Pod Hotel attached to the International Space Station that rotates around the world every 90 minutes. 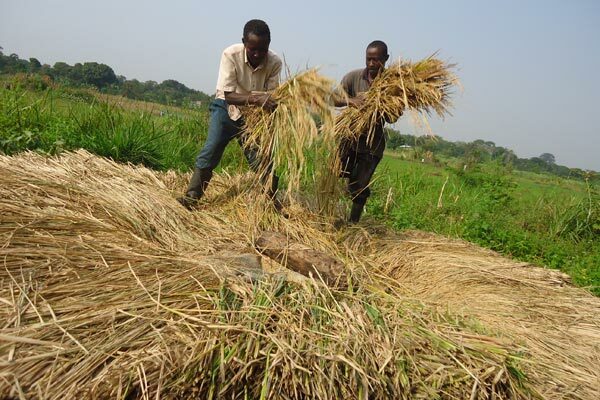 Farmers harvest rice in Kayunga District. Uganda is experiencing a widespread prolonged dry-spell since April-May, whose hardest impact to agriculture is failure of the first-season crops, mainly maize and beans. This translates into poor food harvests and negatively effects local and export trade, among others. Climate and agricultural experts report the drought has affected Karamoja, Teso and lower Mt. Elgon (Bugisu and Sebei) in the east, a large part of Busoga, much of central region and parts of western region. Farmers in these diverse regions say they have incurred losses via costs on labour opening up land or ploughing it, purchase of seeds and other inputs, after rains expected to start March-April up to May-June, did not come in sufficient amounts. If the rains came, they were scattered and thin on the ground. This led to poor germination especially of cereals (rice, millet, sorghum) and hence low growth rates, that have translated into low yields, including maize and beans—two key crops that constitute most diets in Uganda. Maize and beans are also a big part of farm produce that traders buy and sell for domestic and export trade. Market vendors and millers also heavily rely on beans and maize, respectively, while poultry and livestock’ feeds have maize as a key ingredient. Farmers from Teso, Busoga, Central and Bunyoro say they are counting losses at a time when the first season’s harvest is due. Dominic Etellu, a farmer from Serere, says hunger is now widespread in Teso, especially Katakwi, Amuria and parts of Serere to the extent of some residents steal food from kitchens and gardens. “Thieves are carrying atapa (millet and cassava bread) from the fire as owners wait for it to get ready. They are also stealing cassava from gardens,” he says adding that a similar scenario played out in 1992, when Teso suffered extensive drought. Alfred Namasa, a district councillor in Mbale, says maize, millet, beans and pastures begun drying from late March and early April for those who cultivated far from wetlands, that enable minimum irrigation. “Much of Mbale and mainly low-lying areas like Busiu Sub-county are worst-hit,” says Namasa also a farmer. Johnson Kato Tibatya, from Bugabula in Kamuli District, revealed that most smallholder and large-scale farmers have incurred massive losses. It is not only in Kamuli but in Jinja, Luuka, Buyende, Kaliro and Kayunga districts. He has 13 acres of mangoes from which he usually harvests up to 20 tonnes a season, while for oranges, he has three and a half acres whose yields this season, have been severely affected. “The oranges have wilted. They had fruited well, but due to poor rains, the fruits are little in size and less juicy. They’ll therefore fetch less money,” says Tibatya, who is also vice chairman, Kamuli Citrus Farmers’ Cooperative Society. In central Uganda, the cattle corridor—Rakai, Sembabule, Masaka, Kalungu, Mubende, Kiboga, Kyankwazi, Nakasongola, Mpigi, Butambala, Gomba, Kayunga, etc—which suffers seasonal dry spells is the hardest-hit by the current drought. Calisti Sserwadda, a farmer-trainer at Luweero-Kasaana Catholic Diocese, says Luweero, Nakasongola and Nakaseke districts are also counting serious losses. Most of the maize and beans have been extensively damaged, including banana plantations. In the sub-counties of Butuntumula, Luweero, Makulubita and Katikamu, farmers have lost their investments in maize. “Farmers like me who did dry planting are better than those who waited for rains. First, the rains came late and too little, hence the widespread losses,” says Sserwadda, an official of the Caritas-founded Community Integrated Sustainable Association—which operates in Luweero, Nakaseke and Nakasongola. Ronald Magado, the Coordinator Nakasongola District Farmers’ Association (NADFA), confirmed Sserwadda’s report. He says all the 11 sub-counties of the district have been affected by drought. “The first season has been very grim indeed; almost 50 per cent of the farmers have recorded a loss,” he said. The March rains abruptly stopped in mid-April, seriously impeding production and then the rains resumed in mid-June affecting second season planting. In southern Uganda, things are not looking any better. Coffee farmers are lamenting too. Michael Ssali, a coffee farmer in Lwengo District says the little rains have dealt a serious blow. “There’s a poor harvest of beans and when it comes to coffee, yields are very poor this season. I normally harvest 100 gunny bags that fill a truck. This season, I forecast 30-40 bags only. Owing to shortages, the price of kasse (unprocessed) coffee is now at Shs5,200 from as low as a Shs3,000,” Ssali told Seeds of Gold. From Bunyoro, a prominent farmer, Mr Wamala in Kibaale-Kagadi revealed that large hectares of stunted and wilted maize are being slashed away, burnt or fed to livestock. “Forest encroachers have contributed to poor weather and micro-climate performance. Forest reserves of Kangombe, Kanaga, Muzizi and Rizaire have been degraded greatly affecting their ability to positively influence our micro-climate,” says Wamala, the chairman Kibaale Civil Society Network (KICSON). The neighbouring Kakumiro, Kyenjojo, Hoima, Kyegegwa, Ntoroko and Mubende districts are affected the same way as Kibaale-Kagadi. An official from the Water and Environment ministry, Paul Isabirye confirmed that Uganda has experienced poor first season rains. This caused the poor agricultural performance being experienced, adding that while part of the dry season has been the normal annual occurrence, there are some particular cases of unprecedented early or late onset/absence of the rains. 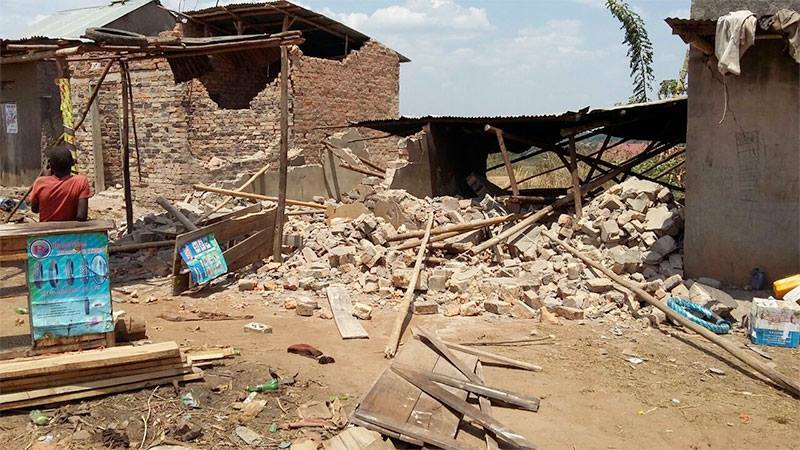 “This scenario was caused by different low and high pressures in the southern hemisphere pulling away rain-bearing winds or pushing them much further beyond Uganda,” he explained. A case in point, in late 2015, southern Africa experienced El Nino and later Lanina was in the oceans. Partly this year, the phenomenon pulled rains southwards from the region, then later high pressures pushed rain-bearing winds to the north. Then some rain-bearing Monsoon winds from the Indian Ocean blowing towards East Africa, were diverted by high pressures and they shifted elsewhere. “These activities partly contributed to the destabilisation of the seasons as experienced,” explains Isabirye, a climate change expert. He relates the spell to already-predicted climate change impacts. Much of western and south-western regions are experiencing a dry spell too. State minister for Agriculture, Christopher Kibanzanga confirmed that he has received similar reports. “Indeed I’ve heard and personally experienced this phenomenon, which has wrecked havoc to the important first-season crop, across much of Uganda. In Rwenzori sub-region where I come from, farmers have mainly lost large acres of maize,” says Kibanzanga. He adds he would like to get a comprehensive nationwide report from technocrats in his ministry to form a basis for policy-makers’ discussions on appropriate steps to take. “It’s a matter of national concern,” he said. However, the mid-northern, near north and entire stretch of the Acholi and Lango sub-regions, there are less drought impacts, as the region had relatively better rains than the eastern, central and western regions. Kapyata ye motoka eyo mulembe eyaweebwa ssentebe efuuse ddundiro lya mbaata? ABAWI b’omusolo mu disitulikiti y’e Buyende banyiivu olwa kapyata ya ssentebe wa LC5 eyagulibwa mu ssente z’emisolo (Local Revenue) ku bukadde 160 okukwama nga kati embaata mwe zibiikira. 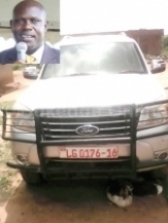 Emmotoka eno ekika kya Ford nnamba LG 0176- 16 yagulibwa mu 2013 kati evundira ku Poliisi y’e Kidera okuva mu July w’omwaka guno. Yakwama ezzaayo Sipiika wa disitulikiti era Kansala w’abaliko obulemu, Charles Lwigo mu maka ge e Bukungu. Kino kyava mu butakkaanya wakati wa ssentebe wa LC5, Robert Ziribasanga (mu katono) n’akulira abakozi, Frances Amulen, ng’emmotoka yeetaaga kutwalibwa Kampala ekolebwe kyokka kino ssentebe yakigaana ng’agamba nti ago malyansimbi, nti ne mu galagi z’e Kamuli kisoboka. Guno gwe musolo gavumenti ya Uganda gweyewaana omungi okukunganya ate oluvanyuma abakulembeze nga bano nebagwonona! The cost of hydro-electricity in Uganda is too high. The IFC that owns the Bujagali power dam has been asked to reduce its profits for the sake of reducing poverty in the country. President Museveni yesterday met with a team of the International Finance Corporation, a member of the World Bank Group. 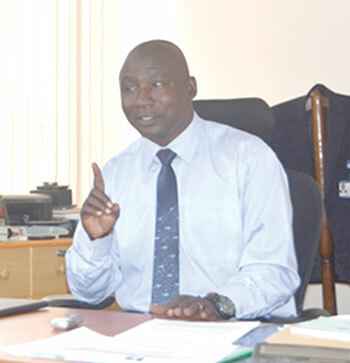 Cheikh Oumar Seydi, the regional director Eastern and Southern Africa, led the group. 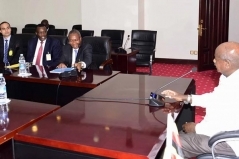 The resolution was reached yesterday during a meeting at State House in Entebbe between the President and a team led by IFC’s regional director for East and Southern Africa Cheikh Oumar, according to a statement posted on social media by senior presidential press secretary Don Wanyama. IFC is an arm of the World Bank Group that offers investment, advisory, and asset management services to encourage private sector development in developing countries. “An array of issues was discussed but key being the cost of power from Bujagali that is priced at 11.3 US cents per unit. The President indicated that this price was exorbitant and was hampering the country's industrialisation drive,” the statement read in part. Located on the River Nile near Jinja, the 25Omw dam is owned by Bujagali Energy Ltd (BEL), a special-purpose vehicle owned in turn by Industrial Promotion Services, which is part of the Aga Khan Fund for Economic Development, and SG Bujagali Holdings, an affiliate of Sithe Global Power, LLC, part of Blackstone, the US-based private-equity fund. IFC was one of the key funders of the project. The government holds a 4.63 per cent stake in BEL, which has a 30-year build-own-operate-transfer concession over the dam. For several months now, since the dam was commissioned in 2012, President Museveni has repeatedly complained about the tariffs offered by BEL. In his State-of-the-Nation address for 2015 he said these exorbitant tariffs had distorted electricity prices in the country. Power from the dam is currently more expensive compared to power generated from from Kiira and Nalubaale hydropower dams. Recently, there has been corridor talk about the possibility of government buying the dam, however, senior officials in the ministry of Finance in a recent interview with this newspaper disowned the proposal. Construction of the project was completed in July 2012 and began operations in October 2012. It consists of five 50MW turbines. The project cost estimate was revised from $530m (Shs1.9 trillion) to $900m (Shs3.3 trillion). PULEZIDENTI Yoweri Kaguta Museveni alabudde abasaanyawo entobazzi n’abalagira okukikomya kubanga be bavuddeko embeera y’obutonde okwonooneka. Museveni eyabadde ne mukyala we mu kkanisa y’e Kyamate e Ntungamo ku Ssekukkulu, yasabye Bannayuganda bonna okukuuma entobazzi n’ebibira kubanga bye bifuula Uganda ekkula lya Afrika. Yagambye nti kya nnaku okulaba ng’abantu beefunyiridde okusaanyawo obutonde bw’ensi. Yategeezezza nti entobazzi Katonda yazitonda zikole ng’ebyagi omuterekebwa emmere noolwekyo okuzisaanyawo kikyamu. Wano kwe kutegeeza nti abeesenza mu ntobazzi agenda kwogera nabo baziveemu awatali kusika muguwa. Museveni ne mukyala we Janet Museveni mu kkanisa ya Kyamate COU ku Ssekukkulu. Yasiimye abantu b’e Ntungamo olw’okulonda NRM mu bifo eby’enjawulo n’agamba nti kijja kumwanguyira okumanya ebizibu ebibaluma era abisalire amagezi. Museveni yasuubizza okulwanyisa obwavu mu ggwanga lyonna n’akiggumiza nti kino ekisanja ‘hakuna mucezo’. Yasuubizza okusomesa abantu okukolera mu bifo ebitono bye balina kyokka bafunemu ensimbi ezibaggya mu bwavu. Yakubirizza abantu okukyusa engeri gye balima n’okulunda n’abasaba bettanire enkola ey’omulembe. Muky. Museveni era nge ye Minisita w’ebyenjigiriza, yasabye abazadde okusibirira abaana baabwe ebyokulya nga bagenda ku ssomero kubanga omuyizi okusiiba enjala kimuleetera obutakwata bimusomesebwa mu kibiina era kikosa n’obwongo bwe. Yasabye abakulembeze b’eddiini n’aba disitulikiti okumukwatizaako okusomesa abazadde omugaso gw’okuwa abaana baabwe emmere. Yasabye abantu okulima emmere egumira embeera zonna omuli n’omusana, beegobeko enjala. Mbadde nti Uganda amakula eri wakati wa Africa, yesinga okuleeta ba (Sserwajja Okwoota)refugees abangi nga bambi badduka muntalo zino ezemundu ezinyumira Africa. Balina kusenga muntobazzi nga ne governmenti nensi nyingi nga nazo zibaddukirira! Era Abasenga mu ntobazzi, nabo bantu abaalina ewaabwe eyegombesa okubeera!